« Where DID those Roma Nova titles come from? I’d refine that a little. What a cover does first is grab a browser’s attention, nothing more. You’ve made them pause, even stop to investigate further. If they pick it up or click on its image, that’s a second victory. Perhaps they’ll read the back cover, then flick the book open to test a paragraph or two on the first page, then drop it or buy it. And that’s it. 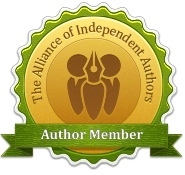 In a few seconds, they’ve made their decision to add to that author’s royalties or not. 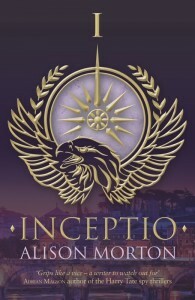 Before I first published INCEPTIO through SilverWood Books , I took weeks to collect a selection of covers I liked. I chose them all on pure instinct, not giving myself the chance to think about it. Click and copy, save, close document. You can see the whole selection by clicking on the image to the right. My conclusion? What attracted me was a strong central image with two messages; one clear and one underneath. Also, all those I liked were bold colours. 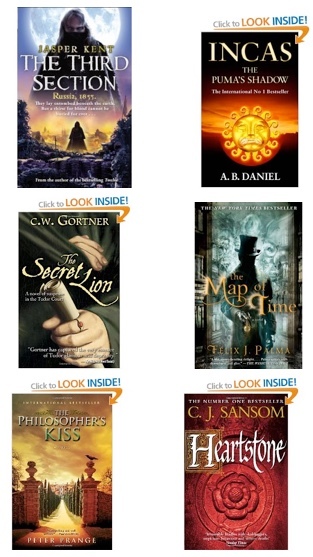 I decided then that each book should reflect the content. PERFIDITAS was red – the colour of betrayal as well as of Mars (god of war), anger and blood. 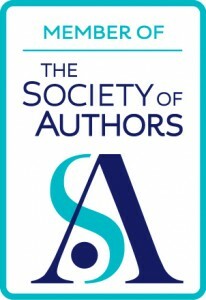 SUCCESSIO’s blue cover suggested midnight and coldness; the villain is a real shocker, calculating and cold-hearted and many of the pivotal scenes take place in the dark of night. For AURELIA, the gold emblem of the first three became a silver one, a reflection of Roma Nova’s most important natural resource which is central to the plot and a way of showing we’re into a new cycle of stories within the Roma Nova series. The green background? Dark like the other covers, yet it brings in the Roman ideas of youth, vigour and evergreen along with the suggestion of dark trees and the Roman defeat in the Teutoburg Forest in 9 AD. A significant part of the action of AURELIA takes place in Germany. Will she end up like Varus, defeated in a dark forest? INSURRECTIO had a black cover to signify the darkness of the story; combined with the silver logo common to the second strand in the Roma Nova series (AURELIA, INSURRECTIO and RETALIO), this cover recalls the uniform of a brutal tyranny of the 20th century in our own timeline. The following book, RETALIO, had an amber colour to signify endurance, yet warmth, the fire of battle, yet light shining through. Amber has semi-mythical connotations of courage, balance and ancient right. When I decided in early 2019 to completely revamp the Roma Nova covers, I gave the new designer a wide brief, but specified the colours had to say the same as the originals, not just for sentimental reasons but to stay with the original symbolism. 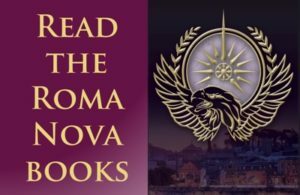 I hope you agree these new covers are more attention grabbing but that the colours have remained true to Roma Nova. Covers are so important, and there are many factors that go into the design, including how a thumbnail of the cover stands out against all the competition. Very true, Pat. Colours, font, image, composition and so on should be given maximum focus. And yes, the thumbnail is crucial. this is why we need designers!